The crux of the dilemma is that I am white and male. I also have disabilities. I have several disabilities due to neonatal hypoxia which caused some damage to the neuro-motor sections of my brain, as well as being partially deaf and mildly autistic (Asperger's syndrome). I am also in a precarious financial situation as I have been homeless until a few years ago after a stroke left me unable to work until about 3 years ago. I have learned to hide most of my disabilities so employers won't know unless I reveal them. I am extremely concerned that with my health issues and the current climate of considering white males to have an unfair advantage, I will have serious issues in finding employment again. I am faced with a dilemma, it's basically how to avoid discrimination: In the past, I've hidden my disabilities because of discrimination against the disabled, now it seems to me that there is less discrimination against the disabled than there is towards my gender and ethnicity. What would be the best strategies for someone to protect themselves against discrimination in this situation? I know that my disabilities and other factors could protect me, but I am loathe to use them or my sexuality to protect myself. Is there a way I can protect myself without having to reveal such personal information? As far as disabilities go, you really need to read each environment and person to determine the best level of exposure. Hostility is easy to pick up, but the undertone is uncomfortableness. If you can try to make everyone feel comfortable with your presence then the disability looks alot less of an issue than if they feel uncomfortable and you have a disability. If you keep the focus on factual data it helps greatly as well. Solid skills for the job that you can prove in an interview and even test if required. Ability to read others comfort level with certain subject matters in order to best create a relationship that the disability doesn't cause an uncomfortable situation. Target specific areas of expertise. Age discrimination is illegal, but it happens anyway, if you had a previous career and then stopped and then came back, you need to find a way to leverage your past experience to propel you in the future. If it's development find the overlap in methodologies and structure between the languages. Old school development understands under the hood where as modern development utilizes tons of libraries from other people but less under the hood computer language structure, there is a need to know both. Lastly, know your boundaries. This will be tougher, but if you have some good friends who will be honest and help you out they will be able to point out things that you know you need to work on personally. Also, similarly if you get involved with a local group of people who work in your field they can help you see what you might need to learn that you don't know already and where to sharpen your skills. With the above only blatant discrimination should be left as no one could justify it against you by other means. Sure there will still be some, but it will be more obviously personal instead of a general perception. Let's look at the facts. You had an unfortunate experience with a previous employer, but this doesn't mean it's likely to happen again. You are living and working in the USA; which enforces anti-discrimination laws, and is just over 70% white. American companies are overwhelmingly run by whites. In 2016 just 17.5% of US businesses were minority owned. That figure is far smaller when it comes to big employers, and probably the tech world at large. So the reality is you aren't likely to experience discrimination in hiring or the workplace because you are a white male. It seems unrealistic to worry about it because of a few unlucky past experiences. On the other hand, if you have a name which sounds black, then you're far less likely to be invited to interview after submitting a resume than someone with a white sounding name. Even if you have exactly the same skills. The real issue is the question of how to deal with your disabilities. Many big companies will require you to list these things when you apply. That's not a bad thing either, often it means they will be more understanding if you need anything specific to help you do your job. Most companies won't mind if they think you have the skills to do the job, and they like you. That's really the bottom line. If they think you're talent they'll make an effort to hire and keep you. It also seems unwise to pretend you don't have a disability if it is obvious or does negatively impact your work. Then you're that guy who is too proud for his own good, or is incapable of realising his own limits, or just dishonest. Everyone has strengths and weaknesses. Accept your own in order to improve them, don't pretend they aren't there. If they ask about disabilities it's not a bad idea to respond with a positive. Yes, I do have XYZ; but it hasn't been a problem for me in the past. I may need help with ABC sometimes, but I have a good record and am keen to prove myself. 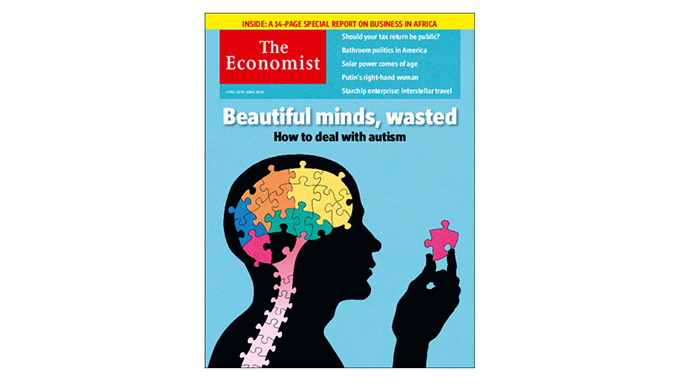 It wasn't that long ago that autism made the front cover of The Economist. They concluded that people with Asperger's like yourself are often highly skilled and dedicated workers, and employers should make more of an effort to hire and keep them. The costs are often minor (giving an autistic worker a quiet space to work), and greatly offset by how much they usually benefit the company. So let's be blunt: you're going to be fine. You are who you are, and there's nothing wrong with that. Both with regards to your disabilities and being white male. Don't shy away from admitting anything just because of pride or fear. If they turn hostile you can always find another better employer, there's plenty of tech jobs going these days. One estimate claims that there will be one million more tech jobs than can be filled in the USA by 2020. If you're still anxious about this, stop reading stuff claiming that the USA is suddenly going to turn into Zimbabwe because insert emotional political nonsense here. People spouting such rot don't know how the world works and don't represent it. Run far away from these companies. By hiring for a quota instead of the best available working at these companies will probably mean that you are working with people that are not qualified, and you will either be forced to do all the work and fix everything they "create", or you will give up eventually and develop terrible habits like them. There are many companies that actually want people that know what they are doing. As far as protecting yourself, I would make it a point to not discuss anything other than work at work (i.e. no politics). I usually step out of the room or tune out the conversation when it starts heading that way. Do the best work that you are capable of so that they don't have a reason to use to fire you. Software-industry is in pretty high demand right now, especially developers. But if you are not a developer (looking at your SO reputation), another in demand avenue is "security officers" - people that make sure that applications and systems conform to the best security practices. And getting some security certifications like Security+ or CISSP can help. now it seems to me that there is less decimation against the disabled than there is towards my gender and ethnicity. You're probably not being discriminated against for being a white male. If you were, that would still be racial or gender-based discrimination which is illegal in the US. People who are concerned that they will be subject to "reverse racism" or affirmative action are usually insecure about their achievements and performance. My advice: Just be good at what you do. Recognize that as a white male, you are very unlikely to face​ discrimination in the first place, then be a good person and stand up for people who are facing real discrimination. The usual financial "selling point" for diversity initiatives in companies is that diversity increases productivity because people with different backgrounds bring different ways of solving problems and different experiences to the table. And by putting a diverse team on a problem, you get a variety of possible solutions and can pick the best one. It sounds like you have tons experience to offer and you managed to pull through a lot of stuff (some of which you probably can't hide on your CV anyways) - that shows resilience and strength. The idea would be to frame your being different (along various axes) as teaching you skills or giving you experience, not as something shameful - as much for yourself as for an employer. Not the answer you're looking for? Browse other questions tagged software-industry discrimination disability or ask your own question. how to avoid being a point of reference for functional and technical issues without getting a financial reward? How can I tailor my resume to avoid the appearance of job hopping? How can I avoid critical mistakes in a new code environment? How are anti-discrimination laws practically enforced?